On 25 September 2015 the UN General Assembly unanimously adopted the Resolution Transforming our world: the 2030 Agenda for Sustainable Development. The core of the Resolution consists of 17 Sustainable Development Goals (SDGs) with 169 associated targets, and many more indicators. The SDGs build on the earlier UN Millennium Development Goals, “continuing development priorities such as poverty eradication, health, education and food security and nutrition”. Yet, going “far beyond” the MDGs, they “[set] out a wide range of economic, social and environmental objectives”. The SDGs add new targets, such as migration (8.8; 10.7), the rule of law and access to justice (16.3), legal identity and birth registration (16.9), and multiple “green” goals. And, more than the MDGs, they emphasize sustainability. The SDGs have attracted significant attention. Although not undisputed – for example, regarding their assumption that economic growth may be decoupled from environmental degradation, and their lack of attention to the concerns of indigenous people – the SDGs have become a focal point for comprehensive thinking about the future of the world. This is so at least in the area of public law and public international law. With regard to private law, by contrast, there has been less attention, although the SDGs are directed not only to governments and parliaments, the UN and other international institutions, but also to “local authorities, indigenous peoples, civil society, business and the private sector, the scientific and academic community – and all people”. Certainly, public action and public law will not be enough if the goals are to be achieved. Even a spurious stroll through the SDGs demonstrates interplay with private international law (PIL). The SDGs name goals regarding personal status and family relations: “By 2030, provide legal identity for all, including birth registration” (16.9), or “Eliminate… forced marriage…”(5.3), both well-known themes of PIL. The SDGs focus on trade and thereby invoke contract law in multiple ways. On the one hand, they encourage freedom of contract when they call to “correct and prevent trade restrictions and distortions in world agricultural markets”… (2.b) or “promote the development, transfer, dissemination and diffusion of environmentally sound technologies to developing countries on favourable terms… as mutually agreed” (17.7). On the other hand, they insist on restrictions, for example, the “immediate and effective” eradication of forced labour, “modern slavery” and child trafficking ((8.7, 16.2); “by 2030 significantly reduce illicit financial and arms flows”…(16.4); “substantially reduce corruption and bribery in all their forms” (16.5). There is clearly also a role for tort law, including its application to cross-border situations, for example in order to fulfill goals regarding environmental protection and climate change. Other targets concern not substantive private law, but civil procedure. Thus, the call to “ensure equal access to justice for all” (16.3) has traditionally been confined to equal treatment within one legal system. But as a global goal it invokes global equality: for instance, the ability for European victims of the Volkswagen Diesel scandal to access courts like US victims, the access to court of Latin American victims of oil pollution on a similar level to those in Alaska, and so forth. All of this has multiple implications in the sphere of cross-border civil procedure: the admissibility of global class actions and public interest actions, judicial jurisdiction and recognition and enforcement of judgments concerning corporate social and environmental responsibility, and so on. Finally, the SDGs have an institutional component. SDG 16 calls, among others, for “strong institutions,” and it encourages cooperation. What comes into focus here, from a private international law perspective, are institutions like the Hague Conference and treaties like the Hague Conventions, but also other possible instruments of cooperation and institutionalization in the private international law realm. (1) to raise awareness of the relations between the SDGs and private international law as it already exists around the world. Private international law is sometimes thought to deal with small, marginal issues. It will be important, for those inside and outside the discipline alike, to generate further awareness of how closely its tools and instruments, its methods and institutions, and its methodologies and techniques, are linked to the greatest challenges of our time. (2) to explore the potential need and possibilities for private international law to respond to these challenges and to come up with concrete suggestions for adjustments, new orientations and regional or global projects. This exploration can aim to identify the need for further and/or new research agendas in specific fields; the development of new mechanisms and approaches, the usefulness of new international cooperation instruments, be it new Conventions at the Hague Conference or elsewhere, or be it new institutions. Submission deadline: May 10, 2019. We are inviting contributions to this project. Interested applicants should submit the application by May 10, 2019. 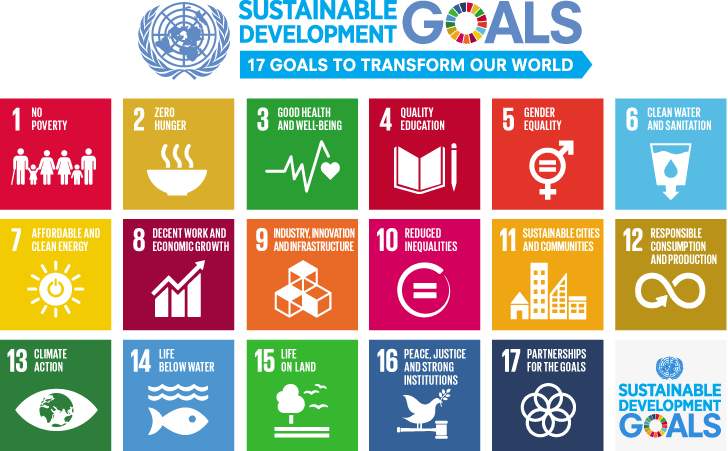 We ask you to identify which of the 17 development goals you want to address, which (if any) work you have already done in that area, and, in a few paragraphs (up to a maximum of 500 words), what you intend to focus on. We plan to select participants and invite them by the end of May 2019. Selected participants would be expected to come to Hamburg to present research findings in the conference, and to provide a full draft paper by the end of June 2020 (in advance of the conference), for discussion and subsequent publication as part of an edited collection to be published after the conference. We expect to be able to fund all travel and accommodation costs. If you are interested, please send your brief application to Britta Arp (@sekretariat-michaels@mpipriv.de) in Hamburg. Please title your email “SDG2030 and PIL,” and your document “SDG2030 and PIL_lastname”. We look forward to hearing from you. Hans van Loon, former Secretary General of the Hague Conference.